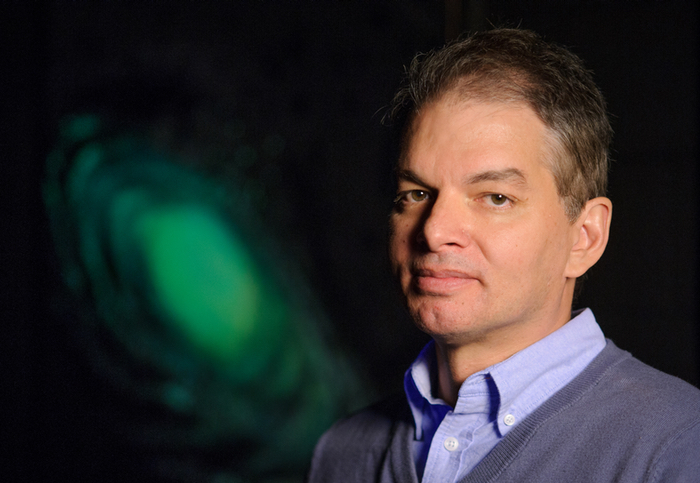 Chris Adami, a theoretical physicist and Michigan State University professor with a knack for breaking down artificial intelligence into simple terms, explains. This, Adami explains, is Type I artificial intelligence, now working its way into American workplaces: Sense, interpret, respond. And if this is some version of your job – if you work on an assembly line, if you analyze data, even if you are a fancy doctor who reads X-rays and MRI scans – chances are there’s a Roomba-type device waiting to replace you, or, if you’re lucky, help you do your job better. It might not have been built yet. But it’s possible, and it might already be here. MORE COVERAGE: The disappearing cashier. And why Michigan should worry. The changes that will be wrought by artificial intelligence are anything but certain in Michigan, or even knowable. Jobs will undoubtedly be lost, and others gained. The people who do the former will not necessarily be able to do the latter. The trick, experts say, will be to craft policy to help as many of the lost-jobs population join the found-jobs group. 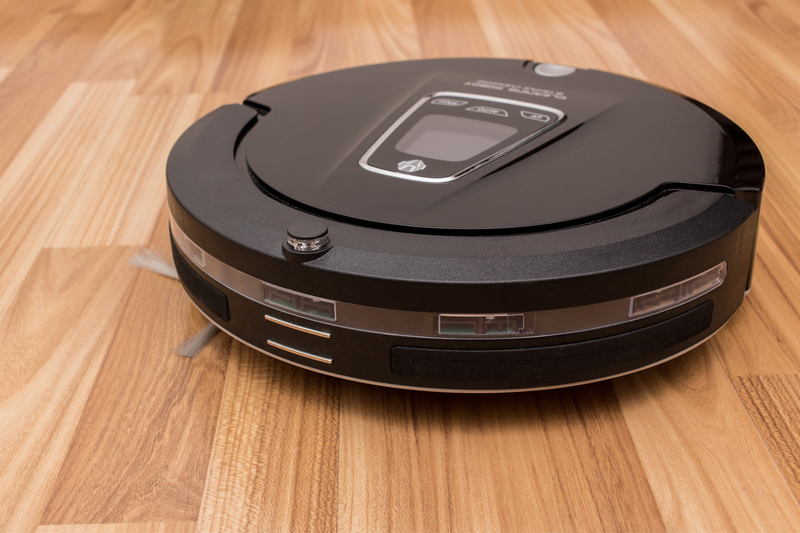 But first, a little bit more about Roombas. To avoid unemployment, Adami advises, don’t be a Roomba. Be the person who builds the Roomba. Or who thinks of new ways to use a Roomba. Those jobs are likely to be safe. The bad news is, a lot of people qualify as Roombas. Tesla, the electric-car maker, modified a plant in Fremont, Calif. to make its Model S with as few human beings as possible. These machines employ A.I. as they assemble their product, doing jobs humans still do in more conventional plants. And with driverless cars ‒ a very advanced Roomba, sensing and reacting to the road at a much faster clip than the floor sweeper ‒ in their infancy on Michigan roads, professional drivers might fear their jobs will disappear. But there’s good news, too: Throughout history, technology has destroyed jobs and created new ones, and many more of the latter than the former. Farm work is no longer done by hand, but the increased food production made possible by mechanizing planting and harvesting gave humans the freedom to put their talents to use elsewhere. “The average person looks at this and says, ‘Oh, self-driving cars will eliminate truck driving jobs. We’ll have all these unemployed truck drivers. The economy will lose jobs,’” said Tim Bartik, senior economist at the W.E. Upjohn Institute for Employment Research. When we moved from horses to cars, he said, we saw a permanent loss of jobs – stable hands, harness makers, even the horses themselves – but we adjusted, and cars ushered in an explosion of wealth and new industry. Denying technology didn’t work for the Luddites, and it won’t work for Michigan, either. 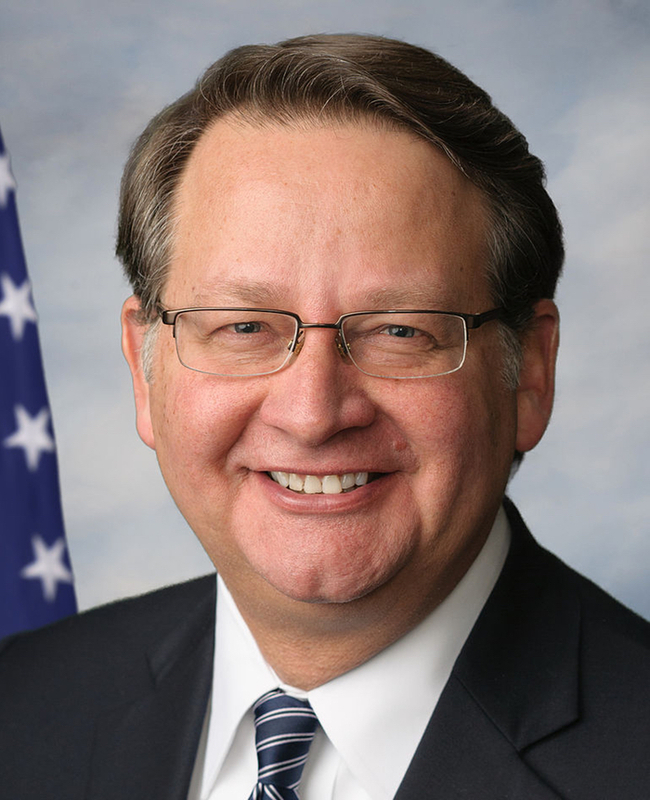 U.S. Sen. Gary Peters sees the state at a critical moment, with driverless car technology potentially unleashing the next wave of wealth creation. Driverless technology, Peters often says, is the “moon shot” for artificial intelligence. To Peters, and others, now is not the time to fear the changes automation and artificial intelligence will bring to the Michigan workplace, or build defenses against it. Crafting policy to support the change has two parts, he said: Supporting technology businesses in general, and improving science and technology education at all levels, and for all students. The state’s position as the center of the domestic auto industry puts it in a good position to capitalize on A.I. and other advanced technologies in driverless cars, said Tom Kelly, CEO and executive director of Automation Alley, a business association for manufacturing and tech companies based in Troy. Lenders will rely on the ability of deep-learning computers to find patterns in applicants’ data, looking for risks beyond those reflected by a credit score. A.I.-assisted technology will find tumors on MRI scans that a human radiologist might miss, serving as another layer of backup, or enabling that flesh-and-blood human to read far more scans than he or she could competently do in a day. Parts coming off an assembly line can be inspected for defects by scanners and electric eyes that work tirelessly and learn as they go. But in the short term, some jobs will almost certainly disappear, and policy solutions are mainly speculative at this point. “It depends on where the money goes,” Bartik said. If cars can be built by robots at a blistering pace compared to humans, the price of cars will almost certainly fall, and consumers will be rewarded in greater spending power. But the largest share of savings will go to the owners of real capital, the highly paid designers of these systems and a few others, Bartik said. This has the potential to make income inequality even more lopsided than it is now. But if some of that money is invested in improved education for the new job market, it could lessen the misery for those left behind, said Bartik. There’s no getting around the fact that more lower-skilled jobs will be lost than we may yet realize, and some of those workers may not be equipped to adjust. “There aren’t going to be too many truck drivers who say, ‘I’ll guess I’ll go back to school and get a PhD in A.I.,’” Bartik said. Such upheavals may even spark talk of concepts that may horrify some of today’s politicians, said Kelly, of Automation Alley. “We’ll have to create a mechanism, legislatively, whatever,” he said. “Maybe taxing robots? And use that capital for retraining. Free college, or even universal basic income,” a guaranteed, fixed payment to families to keep them out of poverty if they’re unable to adjust to the new economy. “To get by in life, it used to be that you needed a high-school education,” Kelly said. “College wasn’t necessary. Now four years of college is what high school was.” What we expect from these institutions may also change, because it has to change. “Community colleges are starting to rebound with apprenticeship programs,” said Mike Coast, president and CEO of the Michigan Manufacturing Technology Center, which provides consulting and development services to small to mid-size businesses. To Coast, even smaller firms, which comprise about 85 percent of manufacturing around the country, can be made vastly more efficient and profitable – and able to grow faster – as a result of new technologies. So what of the worker who isn’t capable of, or interested in, engineering or other work wrangling robots? Chris Adami, the MSU professor with the Roomba metaphor, has good news for them, too. Which is not to be flip. What Adami is getting at is serious: Human beings are creative in ways that even the most advanced robots aren’t, and our intelligence is vastly more complex. A Roomba can sweep a floor, but human beings can sweep a floor while planning dinner or composing poetry in their heads. A driverless car can navigate a road, but people do that every day, while listening to the radio and rehearsing a sales pitch at the same time. In the short run, Adami concedes, “there will be pain. A lot of people will not be able to transition.” But he has faith in humanity to figure it out, if policymakers and others understand the coming sea change and adapt to it. Mr. Bartik says, "If cars can be built by robots at a blistering pace compared to humans, the price of cars will almost certainly fall, and consumers will be rewarded in greater spending power. But the largest share of savings will go to the owners of real capital, the highly paid designers of these systems and a few others. This has the potential to make income inequality even more lopsided than it is now. But if some of that money is invested in improved education for the new job market, it could lessen the misery for those left behind." He is only partially correct. He is mistaken about the distribution of the savings from the increased efficiency of automation. In 1800, average global per capita income was three dollars per day. It is now at least $36 per day. That was achieved because alert, clever people, motivated by the prospect of large material rewards, discovered more efficient ways of doing things. The price of light. for example. fell enormously. People had to work far fewer hours to buy what they needed or desired. Their freed up purchasing power was available to buy new and better things; that in turn provided work for those whose jobs had been eliminated . Huge fortunes were made, but economist William Nordhaus has calculated that entrepreneur's only succeeded in retaining around five percent of the value they created. Mr. Bartik's time horizon is too short when he says, "But the largest share of savings will go to the owners of real capital, the highly paid designers of these systems and a few others." Generations of consumers enjoyed lower costs long after the entrepreneur's excess profits were competed away. He is correct when he says that this process results in increased inequality, but the increase in general welfare more than justifies that. After all, it easily satisfies John Rawl's difference principle. It makes poorer people better off. It should be noted that the world's population has more than tripled in the last 300 years while global income has increased from three dollars a day to $36 a day. And all without government guidance. Contrary to "Michigan Observer", it should be pointed out that there is NOTHING in economic theory or economic experience that shows that it is somehow an inevitable law of economics for the gains from productivity growth to be equitably distributed, or even to benefit the bottom of the income distribution. How the gains are distributed depends a great deal on the economic context and the economic policies adopted. In the past, we had: antitrust laws restricting monopoly power; a more pro-unionization regulatory environment; high marginal tax rates on top incomes; less of an issue with imports from lower-wage countries, and other policies that tended to result in considerable sharing of the gains from productivity growth. In the current economy, with considerable increases in the market power of large corporations, relatively low marginal tax rates on top incomes, lower real minimum wages compared to average wages, shrinking unionization, and some pressures from imports, there are many forces that might lead to the gains from productivity growth to be captured by the executives and owners of large corporations. Recent economic experience suggests very unequal distribution of the gains from growth. Your notion that the growth of living standards in the world has happened with zero government guidance is incorrect. In the U.S., you might consult the ghost of Alexander Hamilton about his economic policies, or consider U.S. investments in such things as, universal free K-12 education, land-grant public universities, the interstate highway system, and government sponsored research that led to the electronic computer and many other research-related innovations. In the world economy, the big story is the growth of China, which clearly happened with a great deal of government guidance and investment. In general, both public and private investments are part of the story of economic growth. Mr. Bartik says, "there is NOTHING in economic theory or economic experience that shows that it is somehow an inevitable law of economics for the gains from productivity growth to be equitably distributed, or even to benefit the bottom of the income distribution. " He is absolutely right that there is nothing "equitable " about economics: that discipline is all about efficiency. And there is little or no connection between the two, at least in the short run. Nonetheless, over the past 200 years, even the bottom of the income distribution has benefited enormously from innovation and increased efficiency. Even in the last fifty years, the proportion of the world's citizens living on less than two dollars a day has dropped markedly. And that was without the benefit of high levels of unionization, high minimum wages and vigorous anti-trust policy. He says, "there are many forces that might lead to the gains from productivity growth to be captured by the executives and owners of large corporations." As I recall, compensation is pretty much equal to "marginal revenue product." Admittedly, that may not be "fair" in terms of equality, but, remarkably enough, many people seem to recognize the appropriateness of people being rewarded in proportion to their contribution. Psychologist Paul Bloom and associates in a recent paper found that many people find such a system of rewards to be fair. And he laments the sharp reduction in marginal income tax rates. Why? Unless those high rates had the emotionally gratifying effect of cutting into the wealthy's consumption, what positive effect did they have? If they just reduced their level of investment in new innovations or society's productive capacity, how can that be helpful? He says that my " notion that the growth of living standards in the world has happened with zero government guidance is incorrect. " He goes on to cite instances of government intervention and provision of public goods. Obviously, government provision of public goods is essential not only on the local, state and national level, but on the global level as well. But that wasn't my point. I meant that there wasn't any government planning or coordination of the vast expansion of global wealth over the last 200 years. In fact, governmental actions were often destructive of free trade and other positive developments. The Great Enrichment, as it has been called, evolved on its own. We have recently come to the realization that the five trillion dollars spent in development aid over the last fifty years has had little, if any positive effects. He goes on to say, "In the world economy, the big story is the growth of China, which clearly happened with a great deal of government guidance and investment. " Yes, and he should notice that the private investment has been vastly more productive than the state sector. The state owned enterprises are notable for their large and continuing losses. He says, "Recent economic experience suggests very unequal distribution of the gains from growth." What would he prefer? Vigorous, unequal growth, or weak, equally distributed growth? DeTocqueville, generally an admirer of America, found that some Americans would rather be slaves and equal, than unequal and free. There is nothing in nature that ensure 'fairness' so why should their be anything in economics that can ensure 'fairness'. If the individual is not willing to change, to adapt, to learn then why should we expect 'economics' or nature to ensure they benefit from change. If people don't learn how to learn and apply that everyday they should expect change will leave them behind. As an example, Senator Peter is encouraging in his words but his deeds fail to match those words, what law or proposal has he made that tells and shows kids in school that without their studying and learning how to learn they will have a much greater struggle after school and are less likely to have control of their lives? one of the best article on AI. I can see the possibility of what I am doing being replaced by a robot, lucky for me I am retiring next year after 35 years working at this place so I won't feel that economic fallout.